Explore the assets of color and value along with charm of contrast. Each color creates its own beauty with the fabrics, the color and design of each choice. The pattern explains in detail how to enhance the right romantic touch and builds the block from the inside out. Some of the elements are straight squares and some are prepared half square triangles. 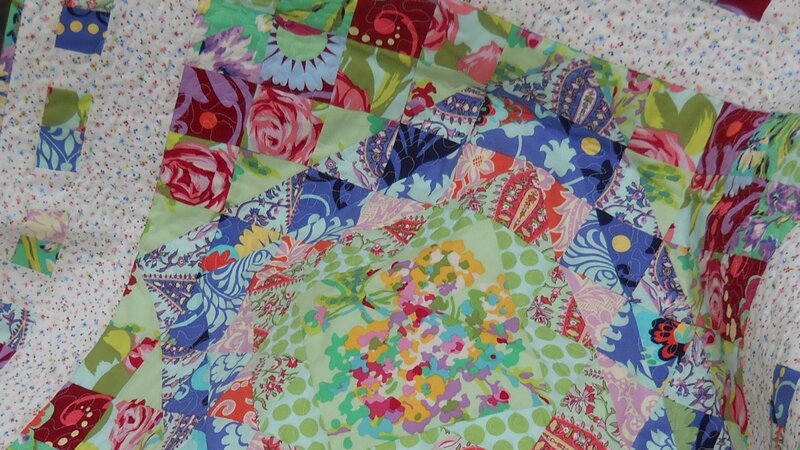 This topper is designed with a novice in mind but can also be enjoyed by even the most advanced quilter. Finishing is your choice, you can choose to add simple applique, a colorful print to enchance the design or as the pattern instructs prepare a patching checkerboard - the drama is up to you! Finished size is 46 x 46 - makes a lovely table topper or wall hanging.